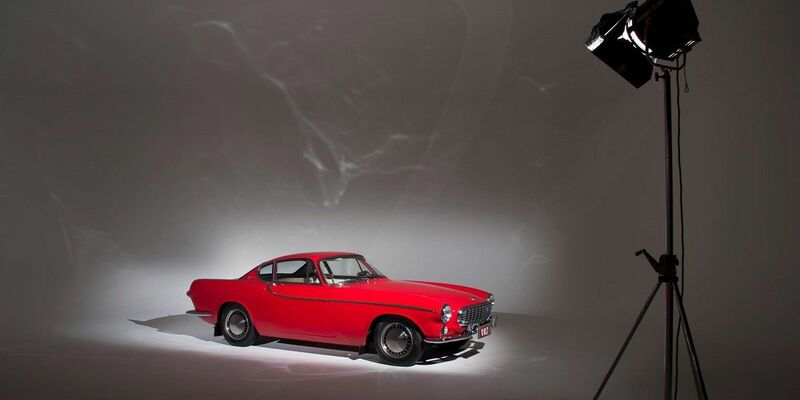 Volvo produced close to 50,000 of these coupes and shooting brakes. 1800s interior boasts elegant gauges and a two-spoke steering wheel. 1800ES remains one of the most successful applications of a shooting brake design. Leather interior with multiple ashtrays were a must for a luxury car in 1960s. Pelle Peterson, who designed the car, was a yacht designer. 1800ES, introduced in 1972, featured a unique shooting brake design with a glass hatch. Volvo has made very few attempts to sports coupe market, and 1800 is by far the most successful one. This grand tourer with working class background was popularized as a spy car in the 1960s, but today it is praised for its unmatched reliability. Lack of noble heritage and large production numbers make these cars affordable for the enthusiasts today. Swedish manufacturer has decided to enter the coupe market in 1957, after their failed attempt with P1900 earlier. The mechanics of this new project were based on Volvo 120, better known as Amazon, while Italian studio of Pietro Frua was trusted with the design. Interestingly, the final design of coupe, Volvo P1800, was done by Pelle Peterson, who was a son of Volvo engineer intern at the Italian design studio. Pelle’s main passion was not cars, but sailing – he later became Olympic sailing champion, as well as a yacht designer. That, perhaps, explains the tail fins and long horizontal lines of this car. 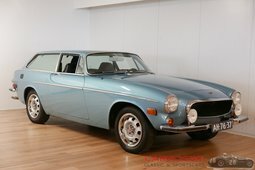 1800 was a successor to P1900, Volvo’s failed attempt to produce a sports car. P1900 production was halted when Volvo executive was appalled with its poor build quality. The 1800 was far better developed, and while the car maker presented it as a sports car, it was more of a comfortable GT. 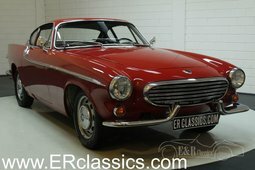 Initially, Volvo P1800 was built by Jensen, but it couldn’t meet the build standards of Volvo. After 6000 cars had been built, the production was moved to Sweden in 1963. 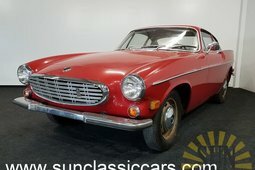 The car was marketed as Volvo 1800S from then on. Volvo 1800 was sold under several different names during its production run from 1961 to 1973. The first cars were called P1800. When the production transferred to Sweden, it was branded 1800S for Sverige (Sweden). The model name changed again, to 1800E, when the old 1.8 liter B18 engine was replaced with a more powerful 2.0 l B20 in 1970. Lastly, a shooting brake design was introduced for the final years of production in 1972. This version of the car was called 1800ES and featured a unique all-glass trunk hatch. This design cue later reappeared in Volvo 480 and C30. In many ways, 1800 is similar to VW Karmann Ghia - both came from manufacturers of regular cars and shared their components with ordinary models. 1800 exceeds its German opponent in power, though. Depending on the year of production, the 1800 is propelled forward by 1.8 or 2.0-liter engines producing from 118 to 130 bhp, compared to 50 bhp in Karmann Ghia. Volvo 1800 definitely owes its success to British spy series ‘The Saint’, produced between 1962 and 1969. The show starred Roger Moore, before he became James Bond, driving a white P1800. This spy drama was aired both in Britain and USA, popularizing both the actor and the Swedish sports car. 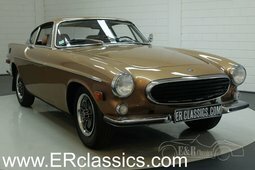 Nowadays, there is another Volvo 1800 that has achieved worldwide fame. 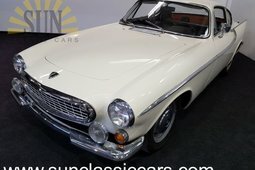 1966 Volvo 1800S, owned and used by Irv Gordon, has done over 3 million miles (4.8 million kilometers) and still has the original engine, gearbox and differential. The car holds the Guinness world record for a highest mileage of non-commercial vehicle. Irv is the original owner of the car for more than half of a century and his unmatched persistence, coupled with Volvo’s reliability, have earned him a celebrity status. He has received a lot of attention from the media, including endorsements from Volvo and Castrol. Almost 50,000 of 1800s have been produced, meaning there are now plenty of them to choose from. Cars in good condition cost 20,000 euros and more, while the ones in need of a restoration can be bought for less than 10,000.